As a homesteader there is nothing more satisfying than looking down at a plate of food you have raised yourself. Don’t you just love when your salad is made of homegrown greens? Or when you’re eating garden fresh salsa made from ingredients you harvested by hand? We take pride in the fact our hard work has helped to bring quality food to our table to feed those we love, and that our garden saves money in the process since we’ve grown it all ourselves. Because a vegetable garden saves money, right? Well, it can. But there is only one way that this is true. Truth is, the only way a garden saves money is if you only plant what you’re actually going to use. It never fails. Every year I stick something in the garden because it’s “easy to grow” or “we have room” or “it looked cool” and it ends up being just one more thing I have to work around and we never even eat it. I plant peas every year. I like to eat them. I really do. But I’m not kidding you, for the amount I actually end up eating, I could stick four seeds in the ground and have plenty—which would save me money, space, and time. To save money, there are options for cheap or free ways to get seeds. But as any hard working homesteader knows, time is also money. If you’re spending precious time weeding around plants that you know aren’t going to be enjoyed by anyone you know, you’re also wasting money. And while there is something to be said for experimental gardening and sticking a seed in the ground to see what happens because you might like what comes up, I’m talking about continuing to grow things that you know you aren’t going to eat. That year after year, for whatever reason, are left in the garden to rot, rather than making their way into your belly. 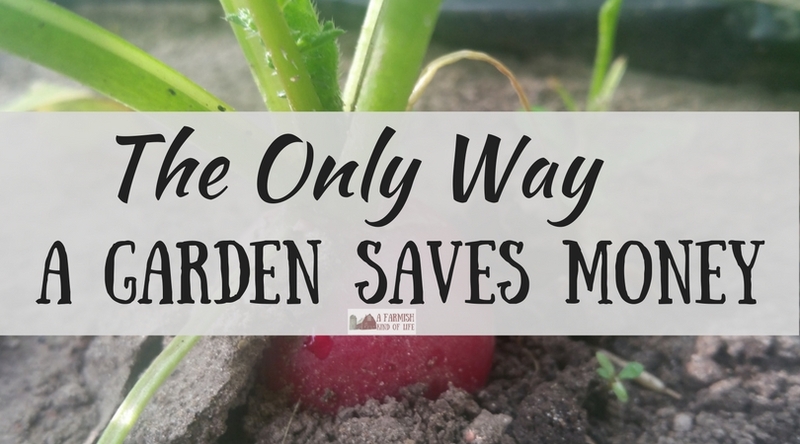 So what can we do to make sure we’re on the path that shows our garden saves money? Plant things you know your family will eat. Make a list of the vegetables/fruits/herbs your family eats. Don’t plant carrots if no one in your family eats carrots. Don’t plant an entire patch of hot peppers if only one person in your family enjoys them. Don’t plant plum trees if your family isn’t a fan of what they produce. Plant things you need this year in realistic amounts. We have so many jars of pickles and pickle relish on our shelves in the basement, we could supply the entire county during the zombie apocalypse. Take stock of what produce you’ve processed (canned, frozen, etc) that hasn’t been eaten yet. Are you short of any items? Are you pleasantly prepared? Are your home processed goodies threatening to start their own country? Take a look at what you’ve already got, and plan for this year’s garden accordingly. Assess the time you have available for gardening this year. If you know that you are dealing with special circumstances this year that will prevent you from keeping up on care or harvesting of the garden, take that into consideration when you’re planting. Remember that it’s completely okay to scale back on your homesteading endeavors when necessary. Planting a garden that you already know will be difficult to keep up with this year will definitely affect your pocketbook negatively. You can lessen at least part of the planting work by focusing part of your garden on edible perennial plants—plant once, and you’re good to go for years! But isn’t it good to have extra produce? Shouldn’t I be planting more? Community is important, and sharing from our bounty is a great way to help others. You’ve probably got friends, neighbors, and relatives who would be happy to take your extra produce off your hands. But there is a difference between planting and having extra, and consistently planting items that your gardening history has shown aren’t beneficial for the folks living under your roof. Plant items you know you will use, and share (when possible) from that. As homesteaders we sometimes feel that bigger is better. The bigger our garden is and the more variety we’re producing, the more awesome we are. Right? I’ve heard some homesteaders lament, “but all I plant is….” That’s okay! If that’s what you eat, what more do you need? If your aim as a homesteader is self-sufficiency, it’s important to stick seeds in the ground that you know will provide best for your family and farmyard critters. Oh hey! If you’re looking for an awesome way to figure out what you can plant where you live and when you can start it, check out this Free Garden Planning Calculator from the fine folks at Seeds for Generations. Input your last average spring frost date and it will give you information on how to get lots of different crops rockin’ at the right time for your area. Amen! Took me about 3 years to figure this out on my own! Now, I leave the “pretty” zucchini towers alone and plant more, more, more beans. Amy, there is so much truth to this! We have lived through seasons where we planted way too much and wasted a lot. And put up way more than we will ever eat! So we started planning better and now we can manage what we’re growing. Less waste! Guilty! I’ve often planted too much or left plants to rot in the ground instead of harvesting. 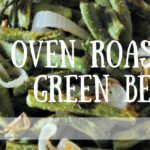 This year, I finally made a Google spreadsheet to keep me organized and accountable — to see how much I plant, harvest, waste, etc. Two months in, it’s worked well for me so far. Hoping I’ll stick with it, since it’ll be very beneficial for the years to come. If you have animals they will likely eat whatever you don’t. Some people even plant things specifically for their animals to eat. There is no such thing as garden waste, if you have chickens, goats and pigs- just sayin’. There is nothing you can grow that one or the other of these critters won’t eat. I am totally guilty of the radish thing. It is so nice to have something that greens up fast and pretty. It is worth the original dollar you spent just for the feel good. Right now, I don’t have any pigs, so I let it all go to seed on purpose. Radishes make a fantastic cover crop to prevent soil erosion. Many years back, I became known as the bell pepper lady. I went bat-crap and planted like 30 bell pepper plants. Had those puppies coming out of my ears. Gave away so many that I earned my new name and it stuck for years! I love your posts Amy! Common sense isn’t common and you are great about giving common sense advice. Thank you! This is our second year gardening and I definitely planted way too much squash. I am the only one that likes it and we will be eating it all winter for sure! I look at it as motivation to get my kids to eat squash…. I am curious about the radishes for a cover crop though, I have a slope I am trying to prevent erosion on and so far I have mint and strawberries planted on either side of it. Will radishes work on a slope?